I taught English for thirty years. 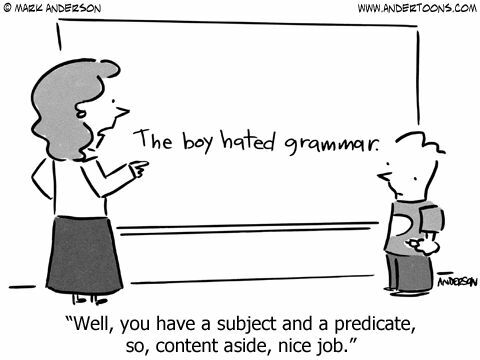 Once upon a time, we would teach grammar and punctuation. 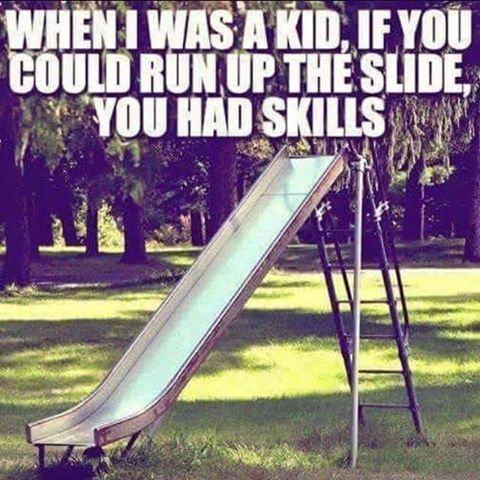 Not too many kids “got it,” but at least it was taught. The last few years, before I retired, the only teaching of punctuation was random and coincidental. It wasn’t in the curriculum. In some ways, I didn’t miss teaching it. How many times did I hear kids refer to apostrophes as “flying commas”? How often did I teach apostrophes, focusing on the very few rules, and then kids began inserting flying commas everywhere they saw an s? Well, that happened every year. Now I read internet blogs, articles, and comments and wonder if anyone knows the rules for apostrophes. In this blog post, I’m going to go over the few apostrophe rules, emphasizing the pet peeves I have. Uh, yeah, I have a lot of them. Rule #1. Apostrophes are used to tell the reader that letters are missing. Usually this is done in contractions. Do not becomes don’t and the apostrophe tells us the o in not is missing. I have an irritated side comment here (I think this goes as pet peeves one through four). This rule about contractions? 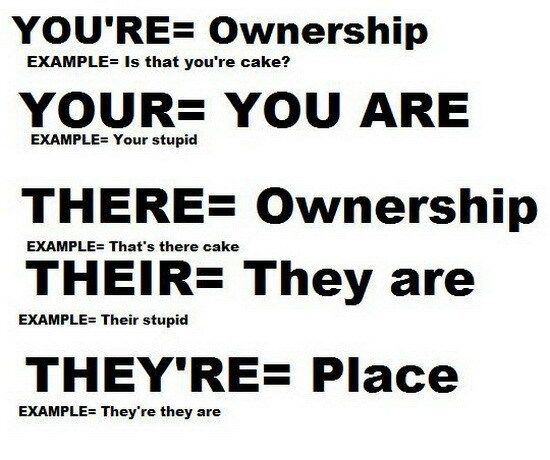 It applies for it’s, you’re, they’re, and who’s. It’s = it is; you’re = you are; they’re = they are; who’s = who is. How is that hard to comprehend…and therefore spell correctly? Those words are contractions. (I’m doing my best to not use all caps and loads of exclamation marks). 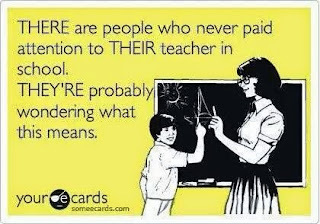 For the love of grammar and spelling, why do I have to read misspellings of those words every day? 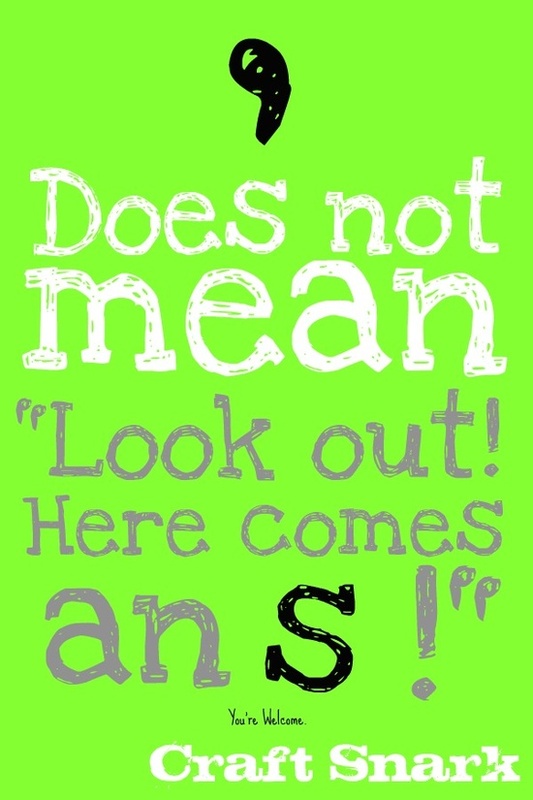 Moving on…You might also use an apostrophe with ’cause (it’s not cuz) or ’til (which is pet peeve number five and stands for the word until—till is a money drawer or a way to work up the ground for planting—and is a misspelling of ’til) or go get ’em (for them) or top o’ the mornin’. 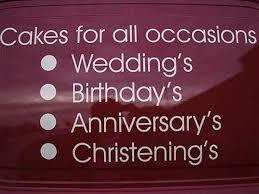 The use of the apostrophe in the previous several examples tells the reader that letters are missing. Rule #2. Do not use an apostrophe to make a plural of a noun (two bird’s is incorrect) or before the final s in a verb (bird chirp’s is incorrect). 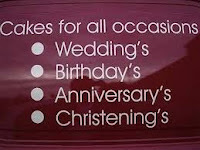 The only time an apostrophe is used in any kind of plural is in the following three instances: 1) Use the apostrophe to form the plural of an abbreviation that combines upper and lowercase letters or has interior periods: The science department gave ten M.A.’s and four Ph.D.’s at graduation. 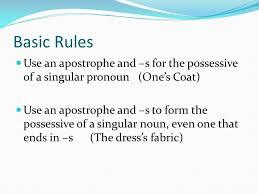 2) Use the apostrophe to form the plural of lowercase letters: The word has multiple i’s and u’s. 3) Use the apostrophe to form the plural of words that aren’t nouns but are used as nouns: There are too many and’s in that sentence. Besides these three unusual circumstances, one only needs to use an apostrophe in contractions and to form possessives. Sidenote. 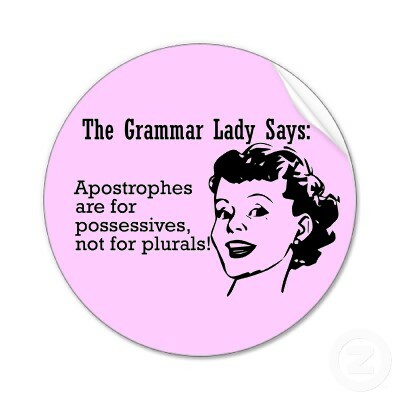 Possessive pronouns never have apostrophes. 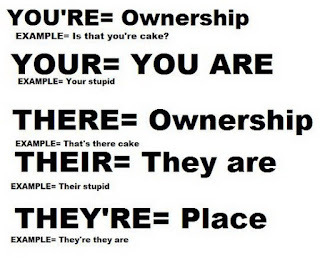 My, mine, its, his, her, hers, our, ours, their, theirs, your, and yours are examples of possessive pronouns. Pronouns are used in place of nouns, and there are special pronouns that show ownership. They do not have apostrophes. What am I on, pet peeves number six and seven? They’re means “they are.” Their is a possessive pronoun which means “belongs to them.” All other times you use the homophone in writing, use there. It’s not so hard to understand, but I admit, it is slightly harder to understand than to understand why people write are instead of our. Have you placed are order yet? Give me a break. Those words don’t even sound alike. The above image makes me laugh. Moving on, there are exactly three rules for forming possessives of nouns. Rule #3. To form the possessive (shows ownership) of a singular noun (singular means there is only one person, place, thing, or idea showing ownership), add an apostrophe and an s at the end of the word. 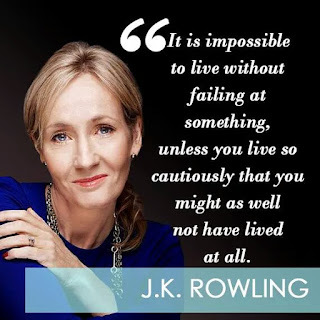 Let me insert this crazy additional word to the rule—always. Yeah, I don’t care what the construction sounds like. There’s a rule for this. For singular words, add an apostrophe and an s to show ownership—always. It’s time to interrupt to explain where I’m headed here. There are three simple rules for forming possession in English grammar. What I’m saying is Mr. (or Mrs.) I-Made-Up-Grammar-For-The-English-Language did something right for once when inventing apostrophe rules. He (or she) took the idea that punctuation is meant to help the reader understand what he or she is reading and devised three simple rules that do that job perfectly. But then Mr. (or Mrs.) I-Live-In-A-Different-Century-And-I-Think-I’ll-Evolve-The-Language-For-No-Particularly-Good-Reason-Except-To-Throw-In-An-Exception-To-A-Rule-That-Is-Perfectly-Easy-To-Understand-And-Apply came along and has tried to throw a wrench into something that didn’t need wrenching. To paraphrase his (or her) exception, I think this would describe it well: “If the singular word ends with s and forming the singular possessive inconveniences your pronunciation skills, you can decide—or not—to use an apostrophe to form the possessive without adding an s. But there’s not going to be a set description of when you’ll do this. Just do it randomly and ignore what the other two possessive rules mean because it’ll be convenient for your eyes and ears, I guess, sort of.” I think that’s the new rule—which isn’t a rule at all. So instead of following the rule for singular possessives consistently, the new age grammar tweekers suggest we can write Jesus’ disciples and Moses’ staff and diabetes’ victims and Brussels’ capital building. Oh, but go ahead and write bus’s lights and glass’s liquid and Mr. Jones’s confusion and Chris’s lack of assurance of whether he (or she) is doing the right thing. Or don’t. It’s kind of up to you based on how it sounds and looks and makes you feel. Yeah, this is pet peeve whatever number I’m on, but it’s time to go back to the rules. Rule #4. To form the possessive of a plural noun that ends with s (as most plural nouns do), simply put an apostrophe after the s. This will do two things. It’ll tell the reader that the word is showing ownership and it’ll tell the reader that the word is plural. So while a reader knows that dog’s paws is talking about only one dog, the reader also knows that dogs’ paws is talking about more than one dog’s paws. It’s the beauty of the rule. Glass’s liquid is one glass while glasses’ liquid is more than one glass. Let me move on to rule #5 before I focus back on my interruption from above. Rule #5. 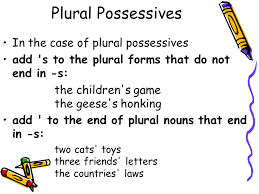 To form the possessive of a plural noun that does not end with s, add an apostrophe and s to show possession. So if women have shoes, you would write women’s shoes. It’s children’s imaginations and teeth’s cavities. So I stated three rules for possessives. Easy rules. Applicable rules. Functional rules. And they’re consistent, which in English is kind of an odd thing. So let’s go back to rule #3 and my interruption and talk about some weird things. Let’s say I have Mose and Mos Moses in my English class. They have projects. I say Mose’s project (a project belongs to Mose). I say Mos’s project (a project belongs to Mos). I say Moses’s project (a project belongs to one of the Moseses). I say Moseses’ project (a project belongs to both of the Moseses). I say Moses’ project (I don’t know who has a project). Only one of my examples leaves me wondering who did the project—Moses’ project. It could mean more than one Mos did a project. It could mean that more than one Mose did a project. It could mean, according to the rule wrencher, that one of the Moseses did a project. The only thing it can’t mean is that both of the Moseses did a project. I can only assume that the rule wrencher didn’t want to pronounce the possessive word as “Moseses” because it sounds awkward? Though the Moses family would be made up of the Moseses, right? Pronounced “Moseses”? I’m being petty here, I know, but Jesus’ disciples literally means that there was more than one Jesu, and they have disciples. Brussels’ capital building literally means there is more than one Brussel who take “ownership” of the capital building. Diabetes’ victims means there is more than one diabete that has victims. You see, the rules for punctuating possessives make it very clear whether a word is singular or plural and whether something belongs to that word. If there is a Mr. Moses and a Mrs. Moses, together they are the Moseses. That’s the plural. If together they own something, like a house, it is the Moseses’ house. If we’re only talking about the wallet that belongs to Mr. Moses, it would be Mr. Moses’s wallet. That’s the punctuation rule. Those three Moses examples are pronounced exactly the same way (Moseses, Moseses’, Moses’s) but have decipherably different meanings. And it’s pet peeve number something or other that people are messing with the rule for who knows what inconsistent reason. I suggest that we should celebrate that there is a punctuation mark that has simple, consistent, understandable, meaningful rules, and that any reader or writer can use those rules to interpret or give meaning. So Mr. (or Mrs.) I-Live-In-A-Different-Century-And-I-Think-I’ll-Evolve-The-Language-For-No-Particularly-Good-Reason-Except-To-Throw-In-An-Exception-To-A-Rule-That-Is-Perfectly-Easy-To-Understand-And-Apply, please stop wrenching a rule that doesn’t need to be wrenched. In other words, “If it ain’t broke, don’t fix it.” Let me give one last odd example. Who cares if Arkansas’s governor is odd to pronounce? Is there anyone who has read this blog who doesn’t know what it means? Did anyone stop, stutter, and whine that Arkansas's is a weird word? I rest my case. So you’ve now read another installment of The Red Pen. I probably gave you a headache. Certainly I overwhelmed you with a large dose of sarcasm (pet peeve double digit—dose is a word which is not an alternate spelling for does). Some of you are probably poised to quote stylebook notations to me. Some of you are probably worried for my well-being and are prepared to talk me down from a building ledge or advise me to “Don’t worry. Be happy.” The reality is I’m fine. I’ve vented, and writers will go on placing flying commas wherever they please. I’m certain of it. It’s that time of year. It’s the time for great highs and great lows. Today, I want to write about one of each. 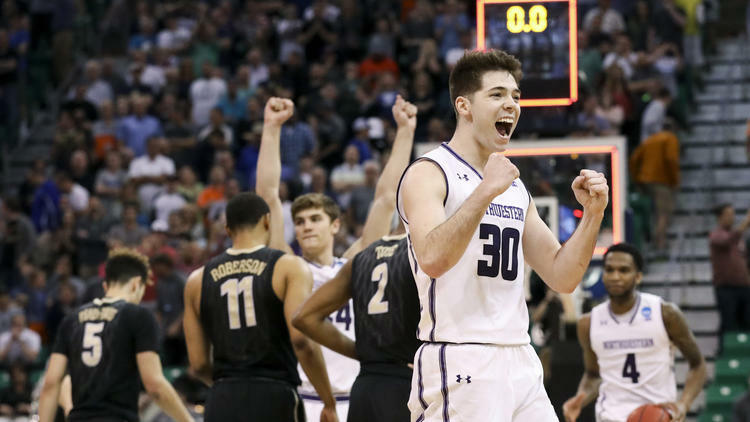 The great “low” happened during the Vanderbilt-Northwestern NCAA tournament round one game (unless you’re a Northwestern Wildcat fan, and then it’s a great “high”). The great “high” is what happened with the Michigan Wolverines in their Big Ten tournament championship run. I want to start with the Vanderbilt game. 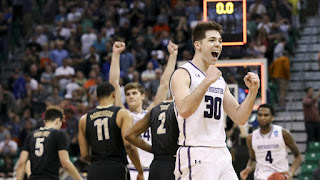 For Northwestern Wildcat fans, this has been a great year. The team has set a school record for most wins in a season, and they made it to the NCAA tournament for the first time in their history, earning an 8 seed against the 9-seeded Vanderbilt Commodores. At the end of the game, Vanderbilt’s Matthew Fisher-Davis inexplicably committed an intentional foul with 14 seconds on the clock and his team ahead by one point. Immediately, he became the reason Vanderbilt lost the game. Northwestern made both free throws and Riley LaChance missed a three-point attempt with seven seconds to go. So in our society of blame, clearly Matthew Fisher-Davis is the reason Vanderbilt lost. I’ve written about such things before when the University of Michigan’s punter mishandled a snap on the last play of the game against Michigan State, who turned the fumble into a game-winning touchdown. Death threats were made against the punter. I argued that there was lots of “blame” to go around. http://jefflaferney.blogspot.com/2015/10/death-threats-against-university-of.html So let me make some arguments in favor of Matthew Fisher-Davis. First, the Vanderbilt Commodores snuck into the tournament with a 19-15 record. Who was their leading scorer? Yes, Fisher-Davis. My first argument is that they wouldn’t have even been in the tournament without him. So, the first round game began (with Fisher-Davis on the bench), and he substituted in and simply led the team in scoring with 22 points. The next two high scorers had 14 and 12. Fisher-Davis was 7 for 15 shooting (47%). The rest of the team was 14-40 (35%). With 7:12 left in the game and Vanderbilt down by seven points, Coach Bryce Drew called his last timeout. That meant when his team scored and went ahead with 17 seconds to play, he couldn’t call a timeout and set his defense. So what happened in those last seven minutes? Well, Fisher-Davis scored eight of his team’s sixteen points, grabbed two rebounds, and blocked a shot. He made two of four field goal attempts and four of five free throw attempts. The rest of the team went three of eight from the floor. In the last minute and thirty-six seconds, the lead changed six times. Video clearly showed Fisher-Davis looking at his coach as Bryant McIntosh was dribbling up the floor after Vanderbilt took the lead with seventeen seconds remaining, and Coach Drew was pointing at McIntosh, so Fisher-Davis fouled him, thinking (he admits this) that his team was behind by one point. 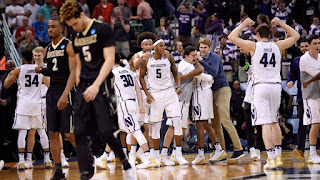 After McIntosh made two free throws, Vanderbilt had the ball with fourteen seconds to play and a chance for the winning basket which was missed by a teammate. So, obviously, it was Fisher-Davis’s fault his team lost, right? It doesn’t matter that Vanderbilt managed to get behind by fifteen points in the second half. It doesn’t matter that his team was out-rebounded by seven, that his team made ten turnovers, that his team committed sixteen fouls, or that his teammates missed 26 shots. It doesn’t matter that his coach ran out of timeouts long before the last stressful minute and a half were played or that his pointing at McIntosh sent a mixed-up signal. It doesn’t matter that Fisher-Davis came off the bench and was the best player for Vanderbilt’s team during the game or that he wasn’t the one who missed the game winning shot attempt. All that matters is someone needs to be blamed. I pick that blaming attitude as a low for March Madness. "He's the type of person [who's going to] feel some blame," forward Luke Kornet said. "But in the second half, we have no chance if he doesn't make the shots that he made. We're with him no matter what." That’s great to hear from a teammate, but the blame game from fans happened and will happen again before the tournament is over. Congratulations, Northwestern, by the way. Your team should get some credit for the win, don’t you think? You know, since you outshot your opponent by 11% and outrebounded them by seven (and had the lead for 39 minutes and 13 seconds of the game) and made go-ahead baskets or free throws three times in the last 1:36? So now for the great “high” of March Madness. The Michigan Wolverines deserve the nod. On Wednesday, March 8, 2017, the Wolverines basketball team boarded a plane at the Willow Run Airport in the midst of a windstorm. I live in Michigan. I watched siding blow off my neighbor’s house. The metal “For Sale” sign stuck in my front yard was bent in half. My power was out. Wind was gusting up to 65 miles per hour. A light pole outside of my subdivision was blown over. 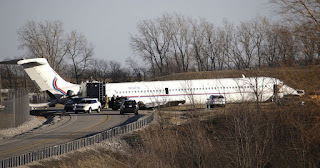 And the McDonnell Douglas MD-83 Aircraft blew off the runway just as it was attempting to lift off. 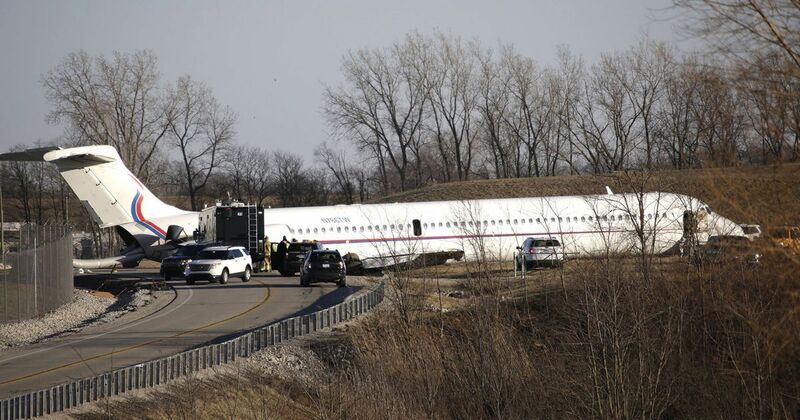 After the aborted take-off, the plane skidded 400 yards, through a fence and a ditch, and stopped short of a ravine. Michigan players Jon Teske and Mark Donnal took the doors off the plane, beginning emergency exit procedures for the 109 passengers. The inflatable chutes were deployed, but wind gusts caused them to flail and flop as the engines smoked and smoldered. Coach Beilein, with fumes pouring in his face, helped hold down the inflatable chutes. The burning engine churned with noise. Passengers ran from the wreckage because they believed the plane was going to blow up. Starting point guard Derrick Walton had to have stiches in his leg. Others had bumps and bruises—and the scare of a lifetime. Many hours later, they were back on campus with a decision to make. Did they want to forfeit their game the next day at noon or begin another travel day at six in the morning by boarding another plane to fly to Washington D.C.? They took a vote. Some didn’t want to do it, but majority ruled. There was a power outage on the campus, so they weren’t able to practice. Because of the crash investigation, they weren’t allowed to get their luggage, but they repacked, silently took a half-hour bus ride to Detroit Metro Airport, white-knuckled a 7:30 take-off that included turbulence, fought the D.C. traffic to get to the arena for the game which was delayed thirty minutes because of their late arrival, and dressed in their practice jerseys because their uniforms were still on the crashed plane. They beat Illinois by 20, a team that had called the Wolverines “white collar” while the Illini had “toughness” and “together[ness].” Then they beat the number one seed, Purdue, the next day. Then they beat the number four seed, Minnesota, the next day. Then they beat the number two seed, Wisconsin, the next day. 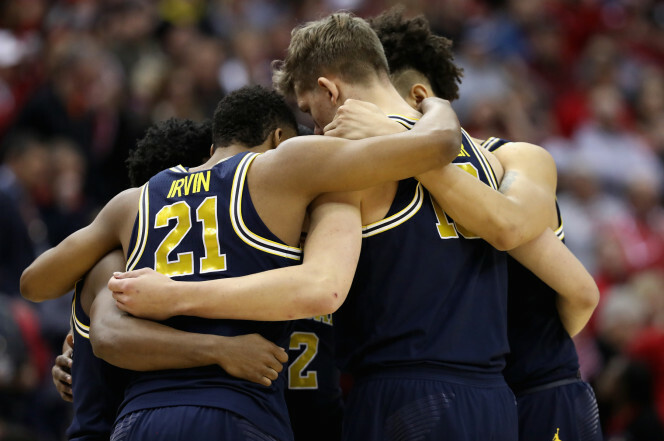 Coach Beilein expressed that the team played “together” with an “appreciation” for the game and each other. They were “blessed” after what they went through to be able to play the games. Derrick Walton, Jr., who was upset that he didn’t make first-team all-conference, outplayed the first teamer from Minnesota by miles. This is a team that fought through the tournament on grit and adrenaline and togetherness and belief and desire. There was an unselfishness about them. The Wolverines didn't seem to care who was scoring or who was in the game. They played with heart. They fought hard from beginning to end. They overcame psychological trauma and together decided they could get over the adversity by playing a game. March Madness is going to produce some highs and lows, for sure. What’s incredible is how sports demonstrates the spirit of mankind—overcoming adversity, showing heart, dealing with mistakes, meeting goals, working together, and showing incredible toughness. It’s not about excuse making and blaming. But, then again, it’s called March Madness, and crazy things happen, including blaming the best player on your team for "losing" the game in one play. 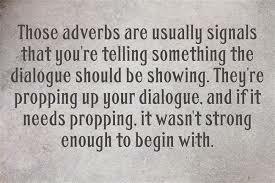 As I continue my journey through most of the parts of speech, today I’m going to write about adverbs. I’ve already written about action verbs http://jefflaferney.blogspot.com/2017/01/parts-of-speech-action-verbs.html and linking verbs http://jefflaferney.blogspot.com/2017/01/parts-of-speech-linking-verbs.html so the obvious next choice is adverbs. They’re the words that describe verbs, after all. 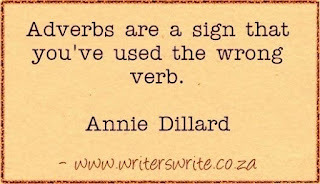 Because I’m an author who is learning as I go, and because I’m an editor who tries to learn new things so I can give good advice, this blog will be about how to use adverbs affectively and how to avoid them to make your writing better. So what is an adverb? An adverb is the part of speech that describes or “modifies” verbs, adjectives, and other adverbs. They usually tell how something is done, but they also tell when, where, and to what extent. A large number of adverbs end with –ly which makes those words easy to identify. 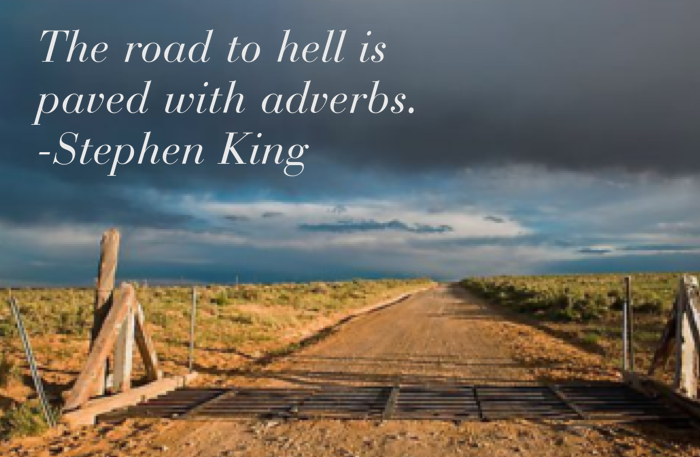 Stephen King says the road to hell is paved with adverbs. 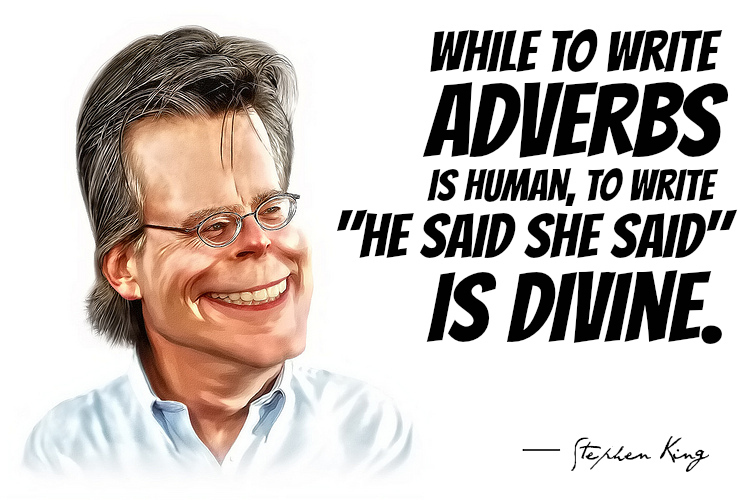 He’s obviously generalizing, but a quote like that suggests writers should try to avoid adverbs. I’ll get to the words to avoid soon, but before I do that, I’m going to say that you can’t always avoid adverbs in your writing. For instance, adverbs like now, later, then, soon, today, tomorrow, never, sometimes, before, after, forever, and many others—they tell when, and writing would suffer without “when” words. Adverbs like here, there, somewhere, anywhere, someplace, up, down, inside, and many others tell where. Those words are important. 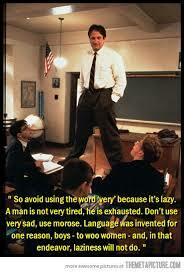 And just try to write without using words like too, so, not, and very. 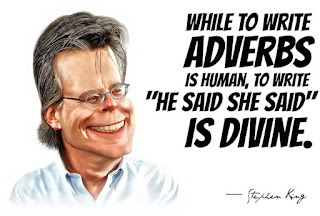 Those words typically describe adjectives and other adverbs, telling “to what extent.” I’m pretty sure Stephen King, though, is talking specifically about –ly words. I’ll get to specifics about those in just a bit. First, however, I need to focus on a common grammar error regarding adverbs. Adverbs describe verbs; adjectives don’t. Adjectives describe nouns and pronouns. So when you’re describing an action, you need to use an adverb. A person doesn’t sing good; they sing well. Good is an adjective; well is an adverb. A person doesn’t talk loud; they talk loudly. A person doesn’t drive bad; they drive badly. Loud and bad are adjectives, but in the sentences, they are describing talk and drive. Both of those words are verbs, so they need adverbs (loudly and badly) to describe them. 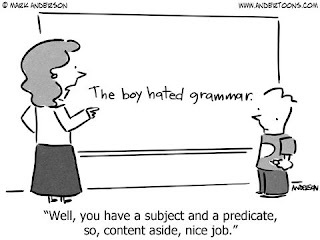 Knowing the parts of speech will help writers avoid grammar errors like those. And here is another issue with adverbs. I mentioned that very is an adverb telling “to what extent.” But words like very, so, extremely, and really can definitely be overused, especially when there are good, specific adjectives you can use to avoid them. Instead of “very hungry,” a person could be “starving” or “famished.” Instead of “too loud,” music could be “raucous” or “deafening.” Instead of being “so happy,” a person could be “ecstatic” or “delighted.” Instead of being “really troubled,” a patient could be “anxious” or “distressed” or “unsettled.” Instead of “not happy,” a person could be “angry” or “dejected.” So Stephen King could be right by saying adverbs are a problem. But most likely, he was talking about –ly words. Next, adverbs can strip your writing of intensity, emotion, description, and action. Let’s say I’m writing and I include the following line of dialogue. That seems descriptive, but how about this instead? He seized Katie’s arm in his meaty hand. His gritted teeth and his cruel, bloodshot eyes alarmed her. “Come with me…now. You won’t need a coat where we’re going.” His threatening voice left no doubt that she was in danger. Sure, the second example is wordier, but it’s descriptive. 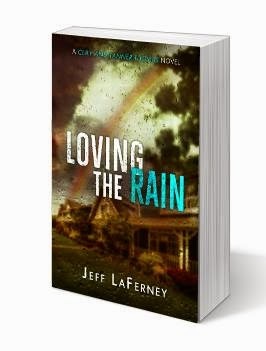 A reader can visualize the character, the action, and the emotional fear and intensity. Also, adverbs can be an annoyance in dialogue. Their use makes for lazy “telling” instead of “showing.” There are many levels of problems with adverbs in dialogue tags. I’ve seen things like “he ordered demandingly.” Well, that’s redundant. Ordered implies—maybe even means—something was being demanded. Just say “he ordered” or “he demanded” or, better yet, "he said" and describe the manner in which it was said in the action. Another issue is that the adverb is used when it is meaningless. It says nothing the reader doesn’t already know. Bob slammed his fist through the drywall. “You make me so mad!” he said angrily. Duh? Fist-slamming, exclamation mark, and the word mad aren’t enough? Heck, I don’t even need any kind of dialogue tag. Bob’s name is in the sentence. I know who said the words, and I know he was angry. That leads to my final issue with dialogue tags using adverbs. Sometimes they literally insult our intelligence and become an inconvenient annoyance. Let’s say you were at a play and two characters were on the stage having a discussion. What if one said, “I need to get to the hospital”? Then a third party walks on stage and says, “Mike is anxious right now.” Then he exits the stage and the other character says, “I know you’re worried. How about if I drive you there right now?” Then the third party walks on the stage and says, “Jenny, is concerned and is trying to be compassionate.” Wouldn’t that be horrible? I mean, Mike could be biting his nails and pacing. He might have let out a big sigh. Jenny might have touched his arm with care and had compassion in her eyes. In the audience you can see the anxiety and concern. It’s the same way with writing. Show with your description how Mike and Jenny are feeling. Don’t tell it by saying “he said anxiously” or “she said compassionately.” Use your descriptive details and actions to show the emotion. And if there are only two people in the conversation, your paragraphing and characters’ names in the description will show who is speaking. Don’t annoy your readers by telling them things that they can ascertain themselves. Adverbs are one of the eight parts of speech. They’re going to be used in your writing, whether in phrases or in individual descriptive details. But don’t overuse them. Learn how to identify them (-ly words in particular) and see how many you would do better without. It’ll make your writing better, and that’s what you want anyway, isn’t it? The dictionary definition of expert is “a person who has a comprehensive and authoritative knowledge of or skill in a particular area.” An English teacher, as an example, should be an expert in the grammar of the English language. He or she should know the basics thoroughly, understand the nuances, and be able to apply his or her language knowledge in an appreciable way. Most people would expect that from an English teacher. But what about a writer? Shouldn’t a writer be just as adept at the language as a teacher? After all, a writer is taking his or her creative ideas and using the language to express them in a way that a reader is able to understand, experience, and enjoy. However, many writers aren’t experts about the basics of the language, so I’m writing a blog series about the parts of speech, hoping to give some advice about better writing along the way. 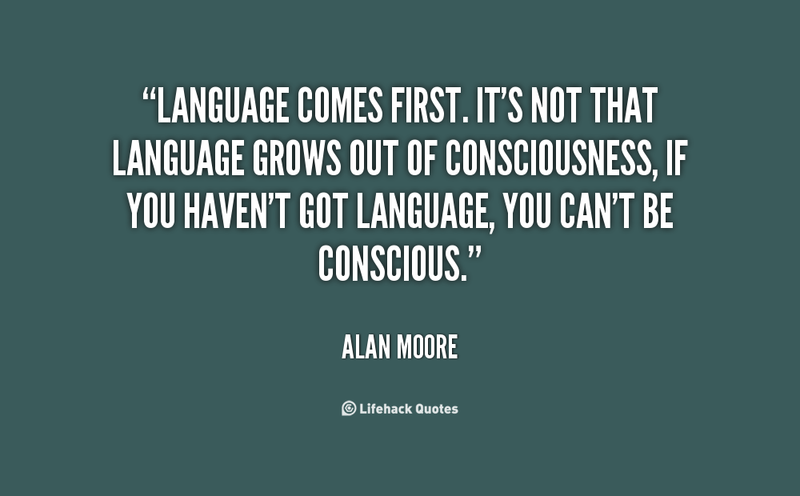 I believe an author should have comprehensive and authoritative knowledge about the language. Possibly, this blog will help. In my first blog in this series, I wrote about action verbs because action is the easiest thing to understand, and verbs are possibly the most important words in a writer’s sentences. http://jefflaferney.blogspot.com/2017/01/parts-of-speech-action-verbs.html Today’s blog post will be about linking verbs. Linking verbs do not show action. They show state of being. Since all sentences have verbs, writing experts should have a clear understanding of the verbs that don’t show action and should be able to recognize them in sentences. Why? Because, plain and simple, action is better. We’ll get to that later. Below is a list of the most common non-action verbs. The “be” verbs—the topmost list of words—all have the same meaning except for tense or whether they’re used with singular or plural subjects. They don’t do a thing. They just “be.” They are. They tell that something is. Helping verbs—generally, the middle list—don’t stand alone. They are either used in coordination with a linking verb or with an action verb to help it have meaning—She could be an angel. The car might run out of gas. The bottom list could be seen ending with an –s (seem or seems) or they could change tenses (smell or smelled). Depending how this list of words is used, they might show action or state of being. I can look out a window, or I could say the bread looks moldy. I did something when I looked out the window. The bread isn’t doing anything. It’s simply in a state of being moldy. There are other words that aren’t as commonly used that can show state of being as well, but the list above is fairly comprehensive. So what’s the big deal? 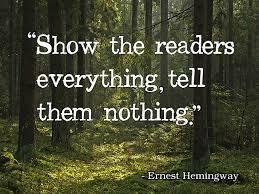 The issue is that a writer attempts to capture a reader, and action does that much better than inaction. In other words, active sentences are better than passive ones that just show a state of being. 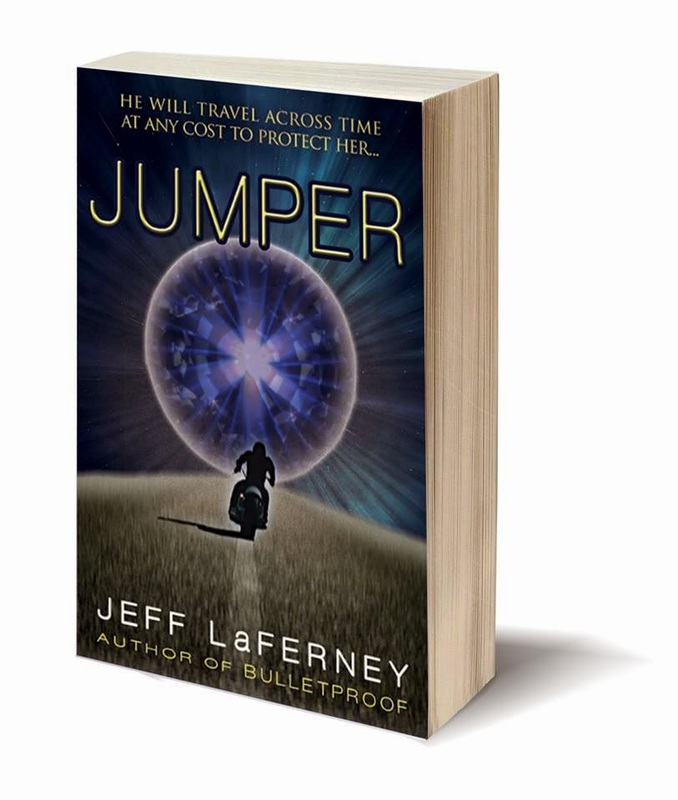 In the process of writing Jumper, my time-travel, action/adventure novel, I wrote a blog post. 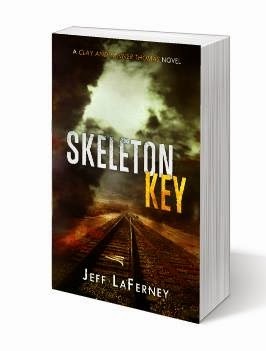 http://jefflaferney.blogspot.com/2013/01/the-so-manieth-time-i-used-that-word.html It was about repetition and mentioned the fact that I used the word was 974 times before revision. One out of every 74 words was was. The book was supposed to be filled with action, yet I found I had a lot of revision to do just because of that one repetitiously-used word. 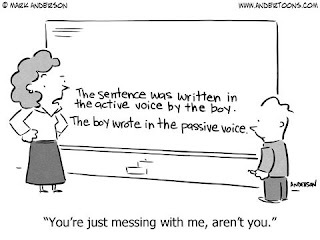 I had a teen fan write me an email recently, asking me how to avoid passive sentences. There is no easy answer to the question, but I told her to do a word search for –ing words. Just type in ing and see what happens. 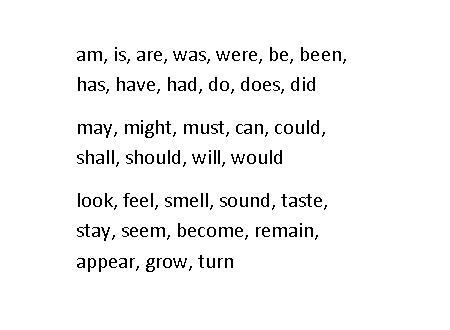 If the word has was, were, is, am, or are in front of it, see if the two words can be changed to an action verb. Maria was huddling quietly in the corner can become Maria quietly huddled in the corner. Or Julia was singing joyfully can be Julia sang joyfully. This little test works with ed words also. The fort was attacked is a passive sentence, but to do a search for ed words could make you want to attack your computer. 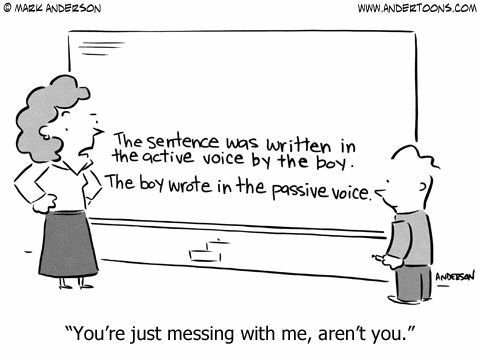 Here’s a shortcut method for recognizing passive sentences. Try putting the words by zombies after your verb. If the sentence makes sense, it’s passive. The fort was attacked (by zombies). That makes sense; it’s a passive sentence. Zombies attacked (by zombies) the fort doesn’t make sense. That sentence is active, and low and behold, the second sentence doesn’t have a linking verb. It’s a shortcut which doesn’t work perfectly, but it might help you identify passive sentences. However, knowing your linking verbs would eliminate your need for zombies. Linking verbs, if you learn to recognize them, are passive, so you can actually revise as you’re writing. Are you ready for grammar that might hurt your head? In my sample sentences above—the ones with the linking verbs—standing, singing, and attacked are not verbs. They're adjectives. They’re specific kinds of adjectives called participles, which are verbals (verb-like words) that describe nouns. Standing describes Maria. Singing describes Julia. Attacked describes the fort. I happen to know—because I taught English for thirty years—that some of you are thinking you were taught (taught is an adjective) that in the sentence Julia was singing joyfully that the subject is Julia and the verb is was singing. Well, you were taught incorrectly. Let me digress for a second. If your sentence was Maria was kind, angry, perplexed, wealthy, and sunburned, how is Maria being described? Adjectives describe nouns, most often telling what kind of a noun. What kind of person is Maria? She’s kind, angry, perplexed, wealthy, and sunburned. All those words describe Maria, just like singing does. What kind of person is she? She is a singing person. It’s describing her. What if I said Singing Maria is adorable? Would you say singing is a verb? Would you say adorable is a verb? I wouldn’t. I’d say they were describing Maria, telling me what kind of person she is. So if I said Adorable Maria is singing, there is no difference. Both words describe Maria regardless of their order. If you still disagree, let me ask you this. Julia was singing joyfully, correct? What if I said Joyfully singing, Julia inspired the audience to cheers. Would you agree that joyfully singing is an introductory phrase describing Julia and that the action verb in the sentence is inspired? Joyfully happy, Julia sang to her audience. Would you agree that happy is describing Julia? Huddling quietly in the corner, Maria wept at her loss. Huddling describes Maria, while wept is the action. Unmercifully attacked, the fort crumbled and burned. 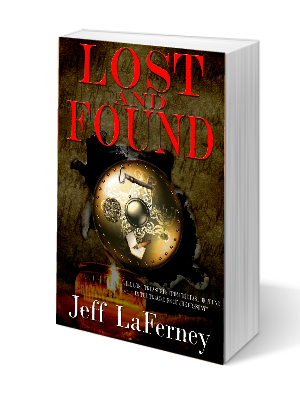 Attacked describes the fort while crumbled and burned is what the fort did. Do you know what else I did in my revised sentences? I created good sentence variety. The subject and verb were moved from the beginning of the sentences to the middle. Sentence variety is also part of good writing. So those ing and ed words after a linking verb are not verbs; they’re participles—adjectives—and they are all parts of passive sentences. Those sentences aren’t showing action. They’re showing state of being—and honestly, the best way to understand is to be able to identify linking verbs because those are the words that are driving your passive sentences. Learn them and be a better writer by avoiding them the best you can. If you write them in your rough drafts, search for them in your editing process and revise as many sentences as you can to give them more variety and make them active. Your writing will be better, and your readers will notice. 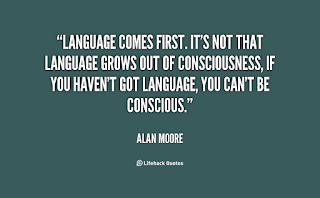 Our language is built on eight parts of speech. Those parts are the building blocks of every sentence every writer writes. They can be manipulated to express beautiful, romantic, inspiring, imaginative things, and they can be manipulated to express unintelligent or uninteresting things no one cares to read. The order of the building blocks creates variety, voice, and meaning (among other things). They determine where punctuation is to be placed. Knowledge of them elicits proper grammar. I taught English for thirty years, I’ve written five novels, and I edit books as a current “career.” I found it difficult to teach writing in the past, and I’m finding it even more difficult in the present to content and line edit without referencing or teaching the parts of speech. I imagine it would be no different than teaching auto mechanics without teaching the car parts and the tools to manipulate them. This entry is the first of a series of blogs by which I intend to help readers learn some things about our language that will help them become better writers. Because I’m ever-learning, maybe it’ll help me be a better writer and editor as well. Teaching the parts of speech has one difficult obstacle that I’ve never figured out how to completely overcome. It’s extremely difficult to start with one and simply move along. They overlap. They work together. It’s hard to talk about one without ever mentioning others. They aren’t simply building blocks that one can build upon the other. However, experience has taught me that the best, most logical place to begin is with verbs. If one part of speech can be more important than another, then I vote for verbs. There are three kinds of verbs: action, helping, and linking. Today, I’m going to focus on action verbs. They’re easiest, and the writing tips that apply are especially important. Action verbs show…well, action. Physical action is obvious, but action verbs include mental action—action of the mind (words like consider, wonder, believe, and hypothesize). Verbs tell what is being done. Some action verbs are transitive, leading to something that receives the action (Donald Trump said something stupid) and some are intransitive with nothing receiving the action (Hillary Clinton lied again). “Something” is the direct object of “said.” You could ask the question “Said what?” and the answer would be “something stupid.” “Lied” doesn’t have a direct object. You could ask “Lied what?” and there is no answer because lied is intransitive. This same thing can apply to mental action. I considered jogging. “Considered” is a transitive action verb with “jogging” as the direct object. I deliberated for less than ten seconds (because I don’t jog). “Deliberated” is an intransitive verb because there is no answer to “deliberated what?” That’s pretty much all you need to know about action verbs, so what’s the big deal? The big deal is action spurs imagination. Our minds can visualize action. It can be pleasant looking at a picture, but watching a video is more likely to get our blood pumping. Writers need to use action verbs to create action-packed possibilities in our readers’ minds. 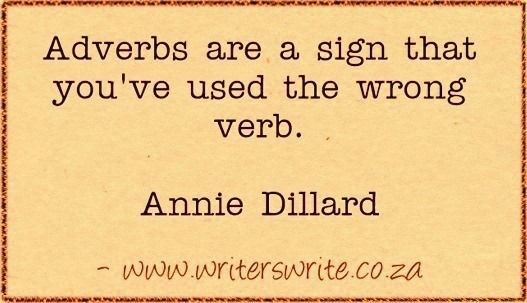 All writers have heard the saying “Show; don’t tell.” Well, action verbs show. Instead of saying, “You’re brilliant,” he said sarcastically, you can say, Mike rolled his eyes. “You’re brilliant.” He shook his head as he walked away. The reader saw a scene of action and figured out that the speaker was being sarcastic. How about this: The tips of Mike’s fingers met above the bridge of his nose. His thumbs hooked under his jaw, hiding his nose and mouth from my view, but I could see his wide eyes and his knee as it bounced frantically. That’s an action-packed description of Mike: met, hooked, could see, bounced. Or I could say this: Mike seemed scared. He was covering his face with his hands and his knee was bouncing uncontrollably. There are no action verbs in the second set of sentences. 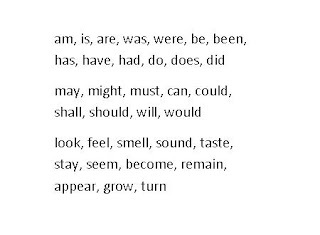 The verbs are seemed, was, and was. The first set is active while the second set is passive. Active is better. And some verbs are better than others. “Thought” isn’t as specific as “planned.” “Walked” is far less specific than “hobbled.” Why say “ate greedily” when you can say “devoured”? Why say “read and remembered” when you can say “absorbed”? Something can break or it can chip, crack, shatter, or splinter. Words have specific meanings which paint specific pictures. (Let me interrupt and say that a thesaurus is a wonderful thing). What I’m obviously pointing out is that great action verbs can paint specific pictures, often saving the writer words. But that leads me to mention something that is just the opposite. I’ve noticed many knowledgeable authors comment about dialogue tags. I’m going to throw in that many people don’t punctuate dialogue correctly (that will mostly be dealt with in another blog), but then I’m going to mention that many authors say the words “said” and "asked" are practically the only dialogue tags a writer needs. No author is going to write an entire novel without using a synonym for said at least occasionally, but what many successful authors are saying is to throw away the thesaurus for dialogue tags. All those wonderful synonyms aren’t needed--some are actually awkward and detract from the writing. So here is where everything I said above is thrown out the window for dialogue tags. Don’t use more specific words or add words to tell how the speaker is speaking. Again, you need to show instead of tell, especially when the telling adds –ly words (adverbs). “Come here,” Lexi purred seductively should be more like “Come here,” Lexi said. She beckoned with her finger, lust in her eyes. “Put your hands in the air,” Duke growled menacingly should be more like “Put your hands in the air,” said Duke. 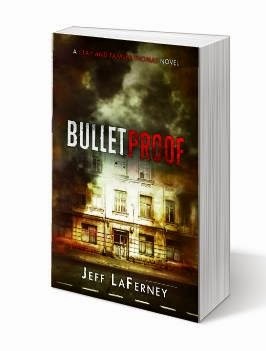 He glared over the shotgun, his teeth clenched in anger. Less synonyms and adverbs; more specific description. And while I’m on dialogue, a dialogue tag is used to express words for said. Smiled, for instance, is not a way of speaking. “You look beautiful,” he smiled isn’t punctuated correctly. The comma rule says to put a comma to set off the dialogue tag, but “smiled” isn’t a way of speaking, so it doesn’t fit the rule. It should be “You look beautiful.” He smiled. Or, better, put “He smiled” first. So lesson one on the parts of speech is about action verbs. Make your writing action-packed. 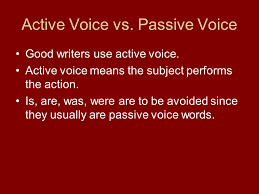 Use the active rather than the passive voice. Use more specific verbs. But when it comes to dialogue, simplify your dialogue tags and show rather than tell. I spent my childhood in the 60s and 70s. Obviously, life was different then. Was it better? Was it worse? Well, I’m going to be the judge of that because I’m listing fourteen random areas of difference and telling you if I think they were better, worse, or somewhere in between. 1. Corporal punishment was allowed in school. I got a swat once for teasing a girl in class. The teacher who swatted me in front of my classmates barely caused me physical pain, but it embarrassed me—and my parents found out and punished me because in my day, the teacher was always right. I didn’t want another swat or home punishment, so my behavior changed. BETTER. 2. 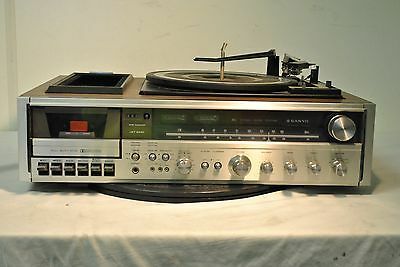 We played vinyl records on record players—albums that scratched, skipped, or warped—and taped songs off the radio with portable cassette players. 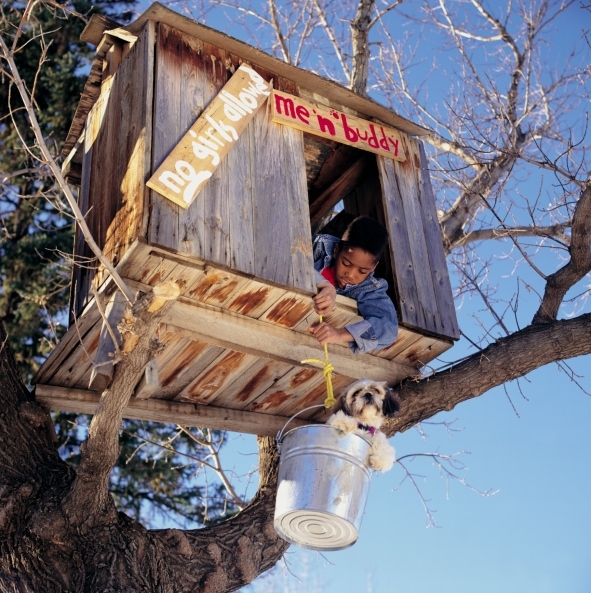 I remember building a “soundproof” fort and waiting for my favorite songs on the radio, hoping to record them without interruption from noise in the house. WORSE. 3. Research was done with encyclopedias, library source books, or microfilm. Yeah, trolling the library was no fun (and in those days we were expected to be quiet). Topics were generally chosen based on whatever letter of the encyclopedia was available. Loading and spinning through microfilm was far too tedious. There was no internet! WORSE. 4. We had to get up to change the TV channel or to change the antennae rotator or the volume. We only had one TV, so we also had to fight for our shows or (horror of horrors) find something else to do. Nowadays, I’ll scour the earth for the remote before going to the TV to change the channel or volume. WORSE. 5. 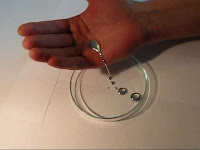 When a thermometer broke, we rolled the liquid-metal mercury around in the palms of our hands. We didn’t die. Now they shut down entire schools. PROBABLY WORSE. 6. We didn’t wear helmets. I learned how to ride a bike by having my dad steady it until I got it moving myself, and then he’d let go and I’d ride until I fell either in the grass or on the cement sidewalk. We didn’t have in-line skates, skateboards, or many of the other cool rolling gadgets, so bike-riding was essential. We played hockey, rode motorcycles, and rode bikes and roller skates without helmets. I’m only partially brain damaged. BETTER…MAYBE. 7. 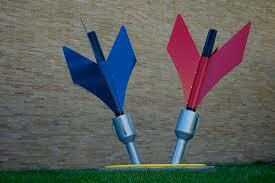 We played Jarts. You know…those arrows of death? Actually, we were smart enough to not get in the way of other gamers’ throws, and we let them land without having our skulls pierced. Maybe we had more common sense than people of today, and maybe having the government monitor our safety for us isn’t really all that necessary. Hey, there could be Jart helmets. BETTER. 8. We rode in the back of pickup trucks or on the top of the backseat in a convertible. Does anyone remember sitting in the backseat of a station wagon, looking out the back window at the other drivers? Do you remember having to sit on the hump because almost all cars had rear-wheel drive (which was great for doing donuts in parking lots in the winter)? There were no car seats, only occasional seat belt usage, and sooner or later, we all “drove” the car while sitting on our dad’s lap. I survived, believe it or not. BETTER…AND WORSE. 9. We built our own forts and treehouses. There was a lot of pride in the achievement, and though they were horribly built, they were ours. We made the plans, chose and hauled the lumber scraps or branches, brought the tools, and made something we were proud of. BETTER. 10. We climbed to the tops of trees, jumped fences, swung on swing sets with legs coming out of the ground, trespassed in the woods, designed our own bike jumps, umpired and refereed our own neighborhood ball games, got in fights and solved our own problems, and left the house in the morning only to come home when our parents called for us from the front door for dinner (which we ate as a family). We did all of those things without a cell-phone or a microwave. BETTER. 11. Visits to church, hospitals, relatives’ homes, stores for shopping, etc. were made without smartphones and tablets. We were bored…or we creatively found something to do. Maybe we took a book to read. Maybe we interacted with people. We probably learned proper etiquette and people skills. BETTER. 12. 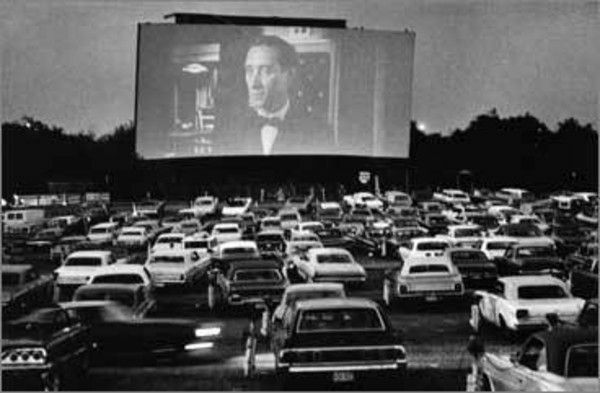 We attended drive-in movies. People hid in the trunk so they wouldn’t have to pay. With our parents, we came in pajamas with pillows and blankets, and we brought our own refreshments and strained to see the screen in the fading daylight. As teenagers, we strolled around the “theater” or sat in open hatchbacks with our friends. BETTER…OR NOT. 13. 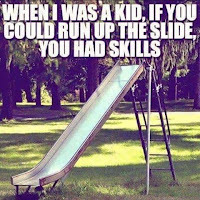 When we needed someone to hang out with, we went to their houses, knocked on their doors, and asked if they could come out and play. Most of my school friends in my day lived within six miles of my house, yet their phones were long-distance to call, and my parents wouldn’t let me call them, so I had to ride my bike to their houses. WORSE. 14. We were grounded differently. I was grounded to my house or my room. Or sometimes I was grounded to my yard. I was never grounded from my cell- phone, computer, video games, or iPod (or whatever music source). When I couldn’t leave to play with my friends or have friends over, I was miserable. These days, parents can’t get kids to leave the house. I DON’T KNOW IF THIS IS BETTER OR WORSE—JUST DIFFERENT. And that’s the whole point. Things were different. 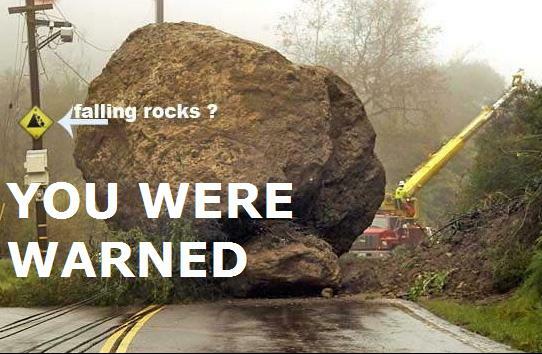 Times evolve, rules of society change, culture differs, and standards of safety adjust. Things are different now, for better or worse, but for some of you, I’ve stirred your memories of “the good old days.” Do you think they were better or worse? I read recently about the demise of Twitter. The main idea of the article was that Twitter has become a haven of hate. Attacks are made on people simply because they don’t share the same opinion or because the attacker is simply an indecent human being. This past Saturday afternoon, I witnessed one of the best football games I’ve ever watched. My favorite team (the University of Michigan) looked to have a victory sewn up against our cross-town rival (Michigan State University) when a miracle occurred in the last ten seconds, handing U of M a heartbreaking defeat. Michigan’s punter dropped the snap, and in a panic to attempt to get a kick off, deposited the ball into the hands of an MSU player, who ran it in for a touchdown as the clock expired. Since then, the Twitter idiots and commenters on other forums have gone so far as to wish death upon the punter. What has our world come to? I used to coach basketball, and one of the most important things I taught my players—preaching the concept to the extreme—was that we don’t make excuses. Over the years of coaching well over 500 games, there have been many times that the timekeeper or referee made an error at the end of the game. There were other times that one of my players made an error that “cost us the game.” I don’t deny the anger…the frustration…the desire to blame. But blaming the result of a game on one play or one call or one mistake is just plain stupid. Let me explain by giving one example from my coaching history. I was coaching a team that was winless the year before. It was the first game of the year, and it was against one of the best teams in the conference. At the end of the game, with just two seconds remaining, we had a one-point lead and one of my players was fouled and was to shoot two free throws. I called a time out, and I told the four non-shooting players to stand at half court, so there was no way they could foul. I told my shooter (Al) that once he made the free throws (positive thinking), to back off. They’d have to make a miracle shot just to tie. But I also reminded him that if he happened to miss, they’d have to throw in a full-court shot to win it. The worst thing he could do would be to foul and give them free throws. So what did he do? He missed both free throws, and after the second miss, he fouled the other team’s best player, who made both of his free throws. We lost the game. It was Al’s fault, right? He missed shots that could have sealed the victory. He made a dumb foul. I should blame Al, right? Wrong. Let me say first of all that we lost by just one point. We did not shoot 100% that game. We didn’t get every rebound. We committed fouls to put our opponents into the bonus before that fateful final foul. We blew defensive assignments during the game. We made turnovers. We missed free throws. At one point, we had a lead larger than one. If we had played better, made more shots, made less mistakes, had given up fewer points, Al’s free throws and foul wouldn’t have mattered. And while I’m mentioning Al, he had a really good game that day. He scored an unexpected nine points and had several steals and forced several other turnovers. We wouldn’t have been in a position to win without him. It wasn’t his fault we lost. 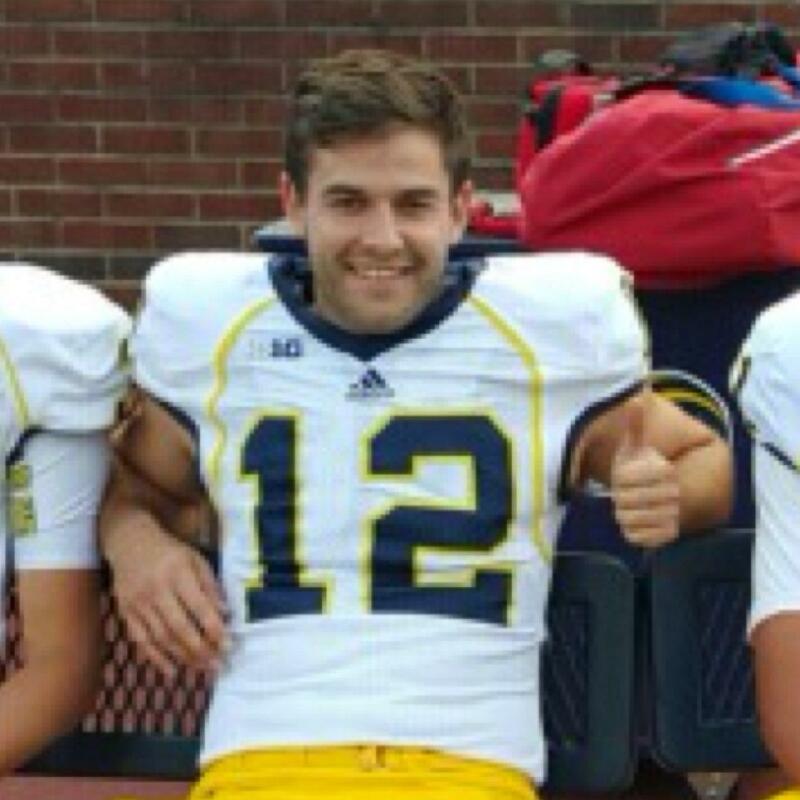 And it wasn’t Blake O’Neill’s fault Michigan lost. MSU had more total yards by a lot. They had a greater time of possession, had more first downs, got called for less penalties, made no turnovers, had a one-play 75-yard score on the play after it seemed Michigan put the game out of reach. Michigan’s running game was stopped. Who blew the defensive assignment on the 75-yard pass? Why did MSU’s quarterback pass for over 300 yards? Why was Michigan’s special teams unit preparing to tackle the punt returner when no returner was back? Why wasn’t the whole team defending MSU’s attempt to block the punt? Wasn’t the snap low? And by the way, wasn’t it Blake O’Neill who had an 80-yard punt? Wasn’t it O’Neill whose punts pinned the Spartans inside the 10-yard line three or four different times during the game? Isn’t O’Neill one of the best punters in the country? Blaming him and threatening him is as absurd as accepting that those giving out threats could actually play better than O’Neill themselves. 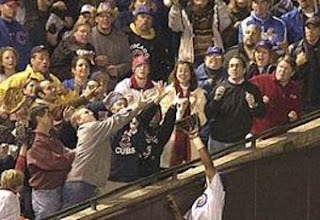 Several years ago, a Cubs fan by the name of Steve Bartman did what about 98% of all fans at a baseball game would do. He reached to catch a foul ball (out of the field of play). Video replays even show other fans attempting to do the same thing because, well, that’s what fans do at baseball games. I sure do, and I even caught one once. It made my day. Yet, other Cubs fans seem intent to blame him for the Cubs not winning the World Series. Really? Was that the only play of the game? (If caught, it would have actually only been the second out of the 8th inning). Didn’t the pitcher still have another opportunity to get the batter out who hit the foul ball? (He walked him). How did the other team score eight runs in the inning without other runners? (Shortstop Alex Gonzalez made an error on a sure inning-ending double-play ground ball before other hits and walks began to pile up). Didn’t the Cubs make 27 outs that game? Didn’t they have a chance to win game seven the next day? Are Cubs fans entitled to determine that the Cubs would have won the World Series had Steve Bartman not “interfered” with one batted ball in a playoff game prior to the World Series? Yet Bartman had death threats. One moment in time when he did what anyone would do ruined his life because of idiot “fans.” And by the way “fans,” isn’t it a game? I realize fan is short for fanatic, but seriously, did Steve Bartman’s instinctive action matter so much that he should fear for his life? It’s a game, people. We watch the game for entertainment…diversion…a reason to get together with friends. Yes, we take pride in our teams. Yes, we get emotional, leading to anger and disappointment, at times. But in the course of a game, we also feel joy. We literally get nervous. We laugh and celebrate with our friends. We might even yell or throw things. But it’s a game. It’s a game in which Michigan fans felt hope and excitement. We celebrated Blake O’Neill’s prior punts. We got angry at instant replay calls that somehow were still inaccurately called, one of which was for a touchdown our team should have never been awarded. We’ve been watching our team play better this year than we expected, and we’re happy for it. But to go on Twitter and wish the death of a kid who dropped a snap is way overboard. To threaten his life should be punishable by law, and the idiots who could never do what Blake O’Neill is capable of doing should be fined or thrown in jail. He’s a kid playing a sport for our entertainment. And by the way, you parents out there who berate your own children for not playing up to your absurd expectations…you need to back off. Your view of your own past athletic prowess is probably skewed, and your desire to live vicariously through your child’s feats should probably take a backseat to your love and devotion for your son or daughter. It’s a sport—a recreation. It’s a way for your son and daughter to make good friends, have good experiences, learn how to work hard, learn how to work together, learn how to deal with successes and failures, and learn who they are and what they’re made of. Sports and competition mirror real life in many ways, but one way they don’t mirror life is that they aren’t life and death. The idiots who want Blake O’Neill or Steve Bartman to suffer for their miniscule part in the loss of one game in one season need to back off and put their own life in the proper perspective. And lawmakers ought to be figuring out a way to punish people who threaten the lives of others in a public forum. Maybe that would stop idiots from hurting innocent people. I’m from Michigan, and over a recent five day period—because of a trip to Florida and back (via North Carolina)—my wife and I drove through Ohio and West Virginia twice. This trip was on the heels of a trip just two weeks earlier when we helped my daughter move into an apartment in North Carolina to begin an internship at UNC (yes, the sky is Tar Heel blue)—so four times we were on those states’ wretched roads in about sixteen days. Admittedly, I’m a University of Michigan graduate and fan, so my dislike of Ohio comes naturally, but I’m mature enough to admit that not all of Ohio and not all Ohioans are bad. Cedar Point is an amazing amusement park, and I’ve been to Kings Island as well. I’ve watched baseball games in Riverfront Stadium, Great America Ball Park, and Progressive Field. I attended college in Ohio for a year and a half. I’ve been to the Rock & Roll Hall of Fame, the Cincinnati Zoo, and the Pro Football Hall of Fame. I have friends who live in the state. It’s not all bad. But as a traveler, this I know: the entire state is under road construction. I mean the whole thing. Not only are the speed limits on the roads typically lower in Ohio and the police force seemingly more determined to give out speeding tickets than any state in the union, but Ohio has a massive toll road and 700 million miles of road construction. Ohio has only two seasons—winter and road construction. That wasn’t a joke. I was stating a fact plainly named on the internet. Cleveland-based Plastic Safety Systems Inc. is one of the country's largest makers of orange construction barrels (I looked it up on Google), literally putting millions of dollars yearly into Ohio’s economy, while managing to keep their manufactured product almost exclusively on their home soil. Industrywide (not just in Ohio), as many as 750,000 orange barrels are produced annually (another Google “fact”). Now, I’m certain that I-75 near Cincinnati, for instance, has been undergoing road construction non-stop (except in the winter “season”) for at least 30 years. 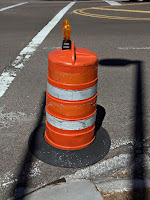 Over 22 billion orange barrels have been produced in that period of time, and I’m convinced half of them can be found in Ohio since the entire state is currently under road construction. And by the way, can anyone tell me when I-75 at Cincinnati will be fixed? It seems inconceivable that there are construction workers who started working road crew as young adults who have retired, never having seen the section of road heading to that terrifying bridge over the Ohio River ever completed. 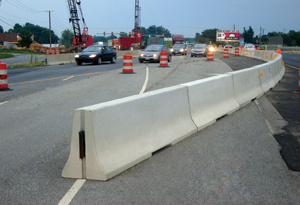 That brings me to concrete highway median barriers. More Google research says they are twenty feet long, two feet wide, and two feet eight inches tall—and they weigh approximately 8000 pounds each. 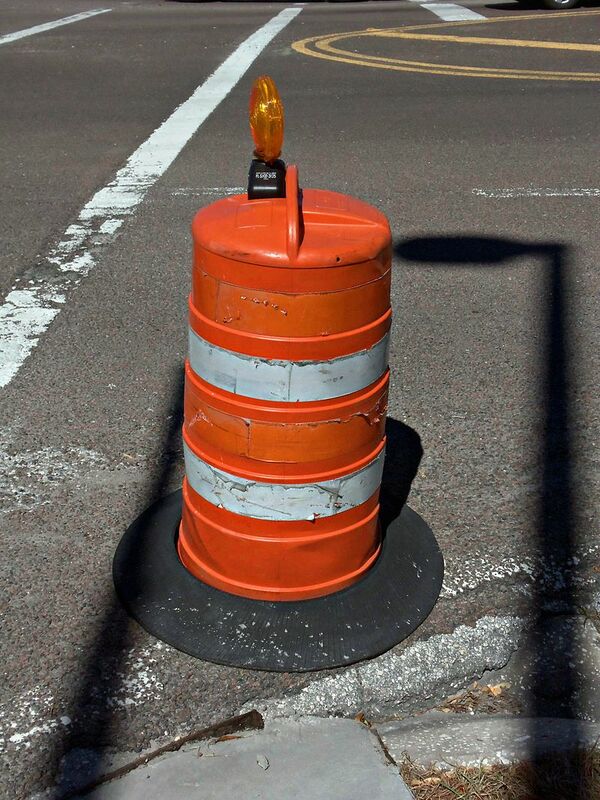 Since I’m guessing there are a billion of them in Ohio (264 make up a single mile), that means there are eight thousand billion pounds of cement barricading every driving route in the state. Orange barrels are one thing—they’re designed to not wreck a car that happens to hit them, but an 8000 pound weight doesn’t tip over and fall away when a car hits it, so drivers white-knuckle their way through the entire geography of Ohio in hopes of survival—unless, of course, they are safely and securely stuck in one of a myriad of Ohio traffic jams the road construction causes throughout the state. Yeah, the only thing good about the roads in Ohio is that when driving north or south on I-77, they’re better than the roads of West Virginia. The Saturday Evening Post referred to that 88-mile section of road as "the Turnpike that goes to nowhere." Due to the difficulty and lives lost in its construction, it has also been called "88 miles of miracle.” It includes Charleston, which besides its golden-domed capitol building, doesn’t have much to look at—unless you discover the houses hidden in the mountainsides. Other than that, there seems to be no cities, no exits, and no signs of humanity along the turnpike except for in two places. Number one is the “service plazas” which are basically rest stops but are really refuges for the anxiety-riddled people who have braved the worst travel route in the United States. People exit their vehicles, kiss the pavement, throw-up in the rest rooms, eat long meals, and then take a Prozac before buckling up for the next section of road maze. Every bridge is called a “memorial” bridge named after a person I’ve never heard of, but most likely, he or she flew off a cliff in a Prozac-induced sleep. There are signs everywhere that say “Falling Rocks.” That –ing word is in the present perfect progressive tense, describing an action that began in the past, continues in the present, and may continue into the future. In other words, while drivers are grasping the steering wheel in a death grip, maneuvering through roads that go every direction except flat and straight, they are to look to the mountain walls out of their peripheral vision for rocks hurtling through the air in hopes of avoiding the pulverization of their vehicles. The only other place for humanity is at the toll booths. Now, I’m sorry, but there’s no way I believe there are sane people who drive to and from home to set up shop in those toll booths on a daily basis. Either they’re insane or they are violent criminals on work release who inevitably will crash to their deaths before their prison terms expire. The only other option is that they rock climb to work to begin their shifts and rappel home when they’re finished. The way the roads wind, I think all three toll stops are actually within a “falling rock” from each other and the whole turnpike is simply a legislative joke to raise money and convince non-West Virginian natives to never consider living in the state. The toll booth workers rappel home to their houses built into clefts in the wall or to spelunker into caves below the surface of the planet. 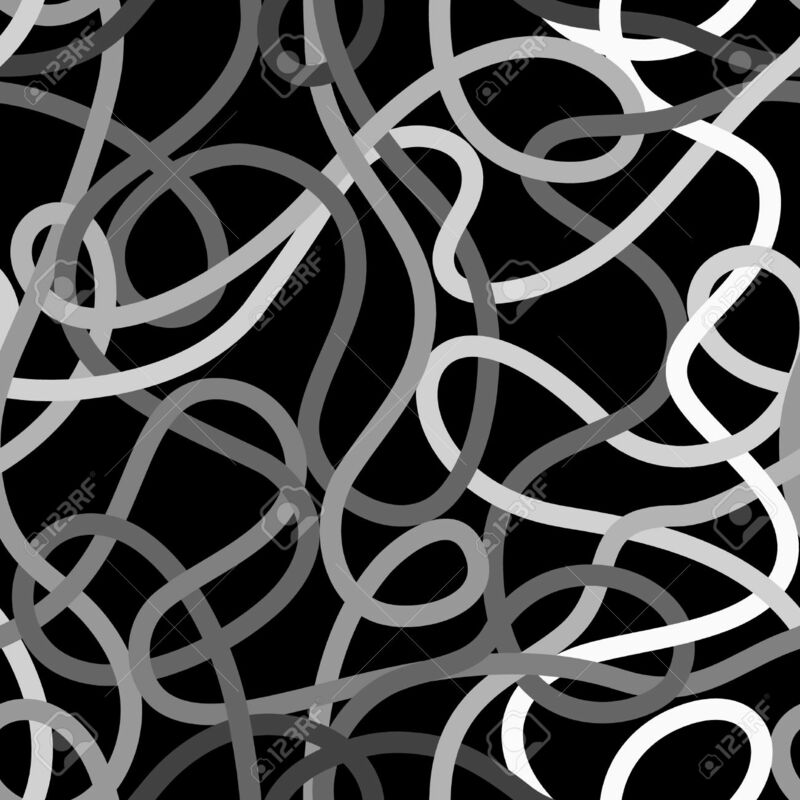 In the meantime, white-knuckled drivers are motoring in weaving, winding circles for 88 miles only to come out five miles ahead of where they started. 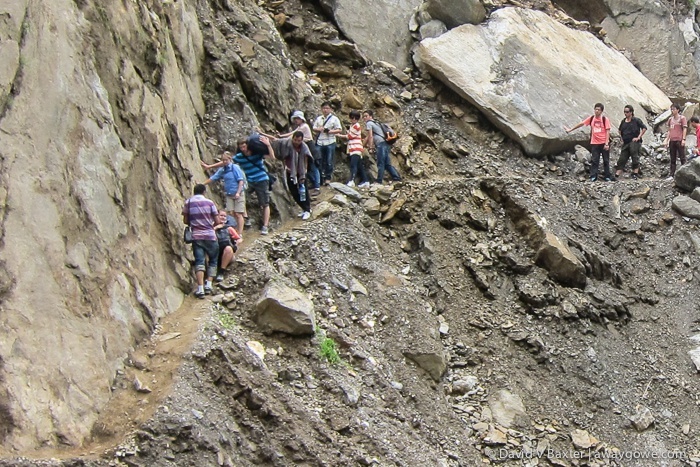 They could have hiked it faster and more safely. On our last trip through on Monday, my brakes were grinding and my air conditioner stopped working. I had to turn the radio off because the only sound I could pick up was static. I had to turn my phone to airplane mode because the battery was draining while roaming for a signal that most assuredly didn’t exist. I’m certain no phone company is willing to risk employees’ lives to install cell phone towers in the middle of virgin earth, so the only thing we could do while driving through the state was sweat and pray. Well, we made it through four times in sixteen days, and for the time being, I love the state of Michigan to degrees I’d never experienced in the past. Maybe the next time we go to Florida, we’ll fly.